Despite significant advances inhuman and economic development over recent decades, the West Africa region continues to face a number of considerable security challenges. From the twin-problems of insurgency and terrorism in the Sahel to piracy in the Gulf of Guinea, various forms of insecurity threaten to derail the on-going progress that countries in the region have achieved. Key to addressing these challenges is an increased understanding of both the root causes and dynamics of insecurity in West Africa and how policy-makers working on the region might seek to alleviate them. The West Africa Peace and Security Network (WAPSN) seeks to support West African efforts to deal with these challenges. 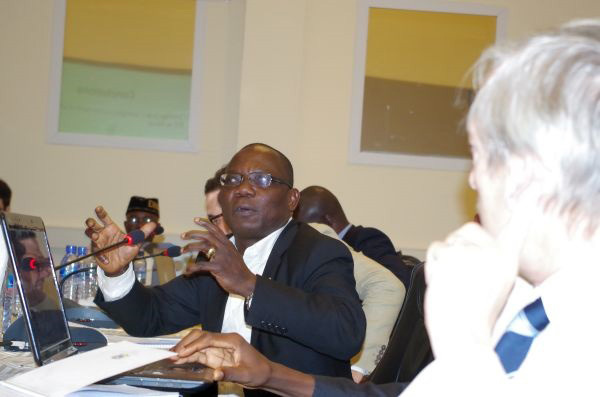 The WAPSN is a trans-continental initiative to foster dialogue and support the coproduction of policy-relevant research on security issues in West Africa. The Network brings together specialist scholars and practitioners from West Africa, Europe and North America and, through its activities, helps to produce and disseminate state-of the- art research that supports effective policy making and strengthens the capacity of security and governance institutions in the region. The second WAPSN Symposium took place in April 2016 at the KAIPTC, Accra on the theme of Peace Support Operations and the third annual symposium took place at the Université du Québec à Montreal in May 2017 on the theme: ‘What future for the resolution of conflicts in West Africa?’. The core strategic objectives of WAPSN are to foster practitioner informed research and research informed policy and capacity development. Facilitating the co-production of state-of-the-art research that underpins policy, helps build institutional capacity and fosters peace and security in West Africa. 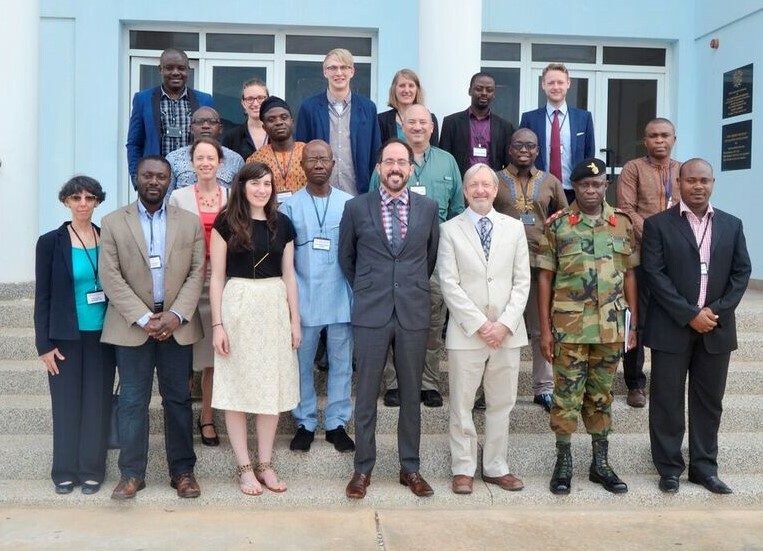 Facilitating information-sharing and international collaborations between scholars and practitioners engaged on West African peace and security issues as a means of supporting and further developing the scholarly security community in the region. Establishing transnational ‘research clusters’ that bring together practitioners and scholars working on the same security issues for in-depth knowledge transfer. Providing tailor-made capacity building to support regional peace and security objectives. The WAPSN is a forum for the free exchange of ideas (WAPSN symposium, KAIPTC, Accra 2016). Every year, subject to funding, the Network organizes a major symposium to provide an opportunity for research clusters to present and discuss aspects of their research to a wider public of academics, professionals and practitioners. The symposium provides a key opportunity to identify and discuss new and emerging research agendas and means of addressing them with practitioners in attendance. The WAPSN network has held three major peace and security symposia to date and a fourth is planned for May 2018 in Bamako. Significant contribution to understanding of the dynamics of insecurity in West Africa (and respective conflict management systems). Publication of scientific books, articles, and book chapters as output from the symposium. Bolstering of the West African scientific community specifically focused on West African peace and security issues. Dissemination of expert knowledge and advice via direct consultations with practitioners. 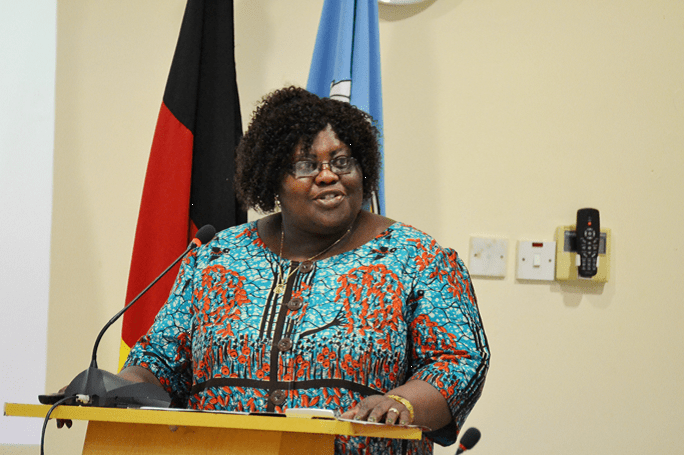 In April 2015, the WAPSN organised a symposium on the Regional Dynamics of Peace and Security in West Africa at the Kofi Annan International Peacekeeping Centre in Accra. 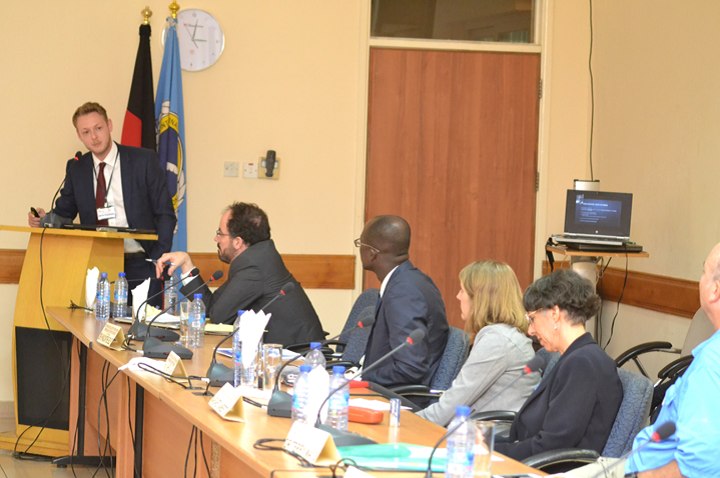 The event brought together researchers and practitioners from Africa, Europe and North America to discuss current challenges to peace and security in West Africa. Among others, the Vice President of the ECOWAS Commission, H.E. Dr. Toga Gayewea McIntosh, the Political Director of the ECOWAS Commission and UN representatives were in attendance. Debate focused on the crisis in Mali, the MINUSMA operation, maritime security in the Gulf of Guinea, the role of France in West Africa and on the coordination of different organizations in conflict resolution. Every year the network organises two to three focused workshops on key emerging security issues. These events bring together practitioners and academics to discuss and develop solutions to emerging problems. Workshops, which are organised by research clusters, ensure state-of-the-art quality research outputs and foster exchanges between academics and practitioners. Policy makers and civil servants from West African states are invited to attend (both to present their insights as well as learn from other participants). Policy-maker–-academic interaction on key issues as determined by clusters (composed of both practitioners and academics). A mutual sharing of expertise and best practice. Both the symposia and workshops are widely publicised and free to attend, with local media well represented. WAPSN specifically encourages engagement with media to generate tangible impact and knowledge dissemination to the wider public. Greater public understanding of security issues in the West Africa region. Publicity for ECOWAS, West African government and EU efforts to improve security in the region. WAPSN has recently developed a ‘Capacity and Training Plan’. Every year, subject to funding, the WAPSN Network will organize three types of activity targeted towards training West African officials in key areas of peace and security capacity development, as determined and required by West African partners. Targeted training. The network will deliver training on issues of key security to concern to West African governments delivered in the region. These can include week-long training programmes on terrorism and de-radicalisation, gender-based violence and piracy and counter-piracy. Consultancy. The network has a vast range of experience and expertise on West African Security issues and can provide consultancy services to boost capacity in key knowledge gaps identified. Tailored, bespoke, problem-specific training solutions to the problems that West African states face, as defined by them and regional bodies, notably ECOWAS. Increased knowledge base in key security institutions. The network was launched in April 2015 at the first annual symposium at the Kofi Annan International Peace-keeping Training Centre in Accra Ghana, funded generously by the German Education Ministry, the University of Bonn and the University of Portsmouth. The conference was attended by colleagues from over 20 universities as well as partners from ECOWAS, the UN, the AU and national governments. Topics focused on ranged from questions of good governance in the region to the battle against extremist groups in Mali. Following the conference in Accra, in the Summer of 2015 a WAPSN website was established to disseminate information about our activities and share knowledge amongst members of WAPSN and beyond (www.westafricasecuritynetwork.org). 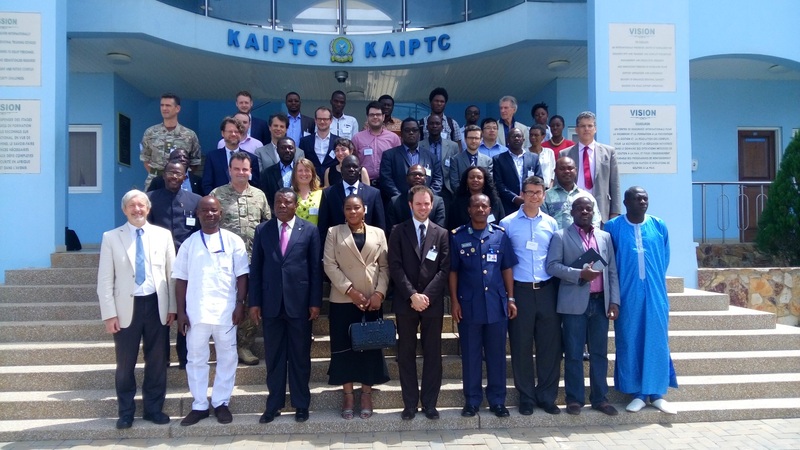 In June 2017 the Centre for European and International Studies Research (CEISR) organized a WAPSN security workshop in Portsmouth focused on the theme of ‘Tackling Security Challenges in West Africa’. In late summer 2017, the first academic output from the 2015 conference will be published in the form of a special issue in the Journal of Contemporary African Studies. The 2018 Annual Symposium will take place in Bamako in May 2018. H.E. 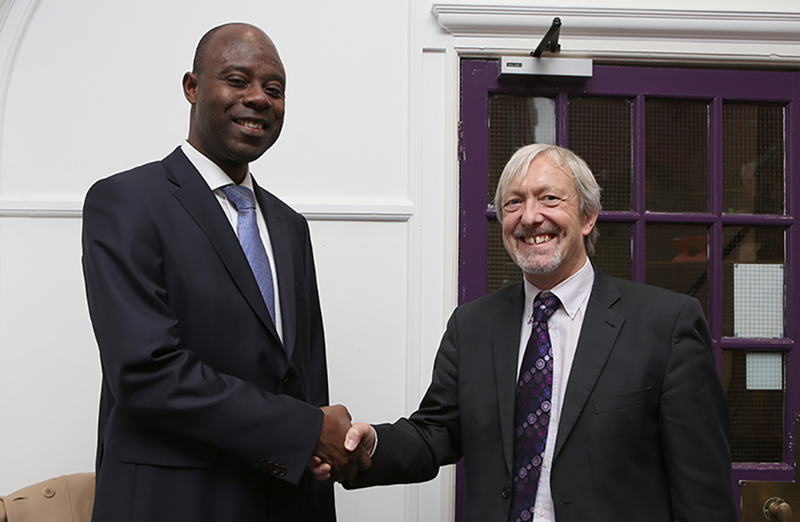 Yakoley Johnson, Ambassador of Togo and Professor Tony Chafer, University of Portsmouth. Maritime security workshop, March 2016. 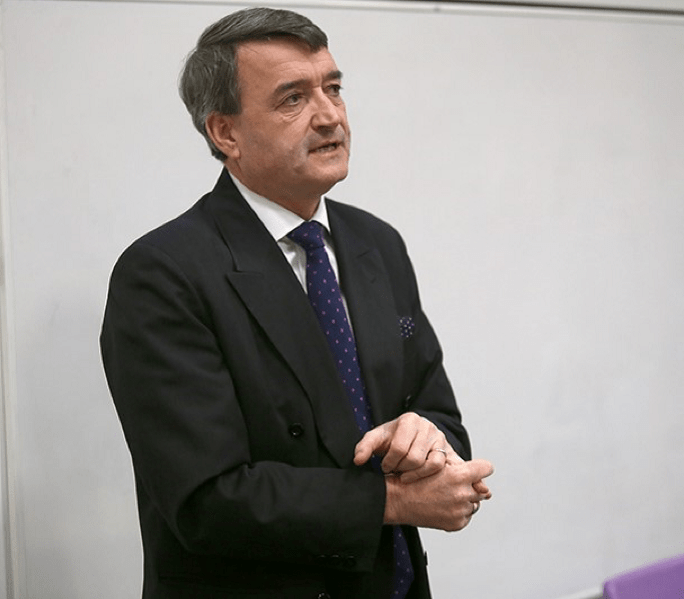 Rear Admiral Nick Lambert, Rtd, chair of the CEISR workshop on maritime security in the Gulf of Guinea, Portsmouth, March 2016.